Baxter Institute » A New Year Begins! 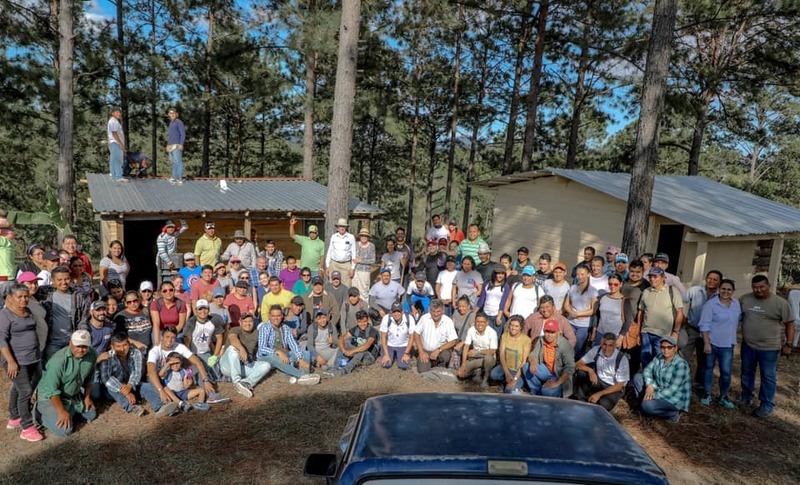 Before the students arrived to campus, faculty, clinic, and sta ff gathered at president Steve Teel’s home to reflect on the last year, envision God’s work in 2019, and pray together while overlooking Tegucigalpa. The first-year students spent the following week in introduction and orientation which they ended at Picacho, a local summit overlooking the city. It was a day of devotionals, telling life experiences, worshiping God, and sharing pleasant moments together. Next, we kicked off the school year with a service project at a new retreat center for the churches of Christ where we built a cabin, painted another, cleared brush, and dug a septic area. This was a small part of the training for future ministers to model service to others. It was also an opportunity for faculty, staff, and students to build relationships as they served side by side. 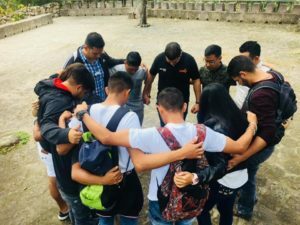 The next day, we gathered together for a devotional and the inaugural class where we welcomed the new students from Mexico, El Salvador, Ecuador, Venezuela, and Honduras. This year we also welcome the first student in attendance from the local boy’s home, Jóvenes en Camino. We are excited to see all of the good things they will do throughout this year and continue awaiting nine more students from Cuba and Venezuela. As we look back on all of the blessings that this year has already brought, we anxiously look forward to all that this year holds and all of the ways that God will continue moving in Baxter, in Honduras, and throughout the world.